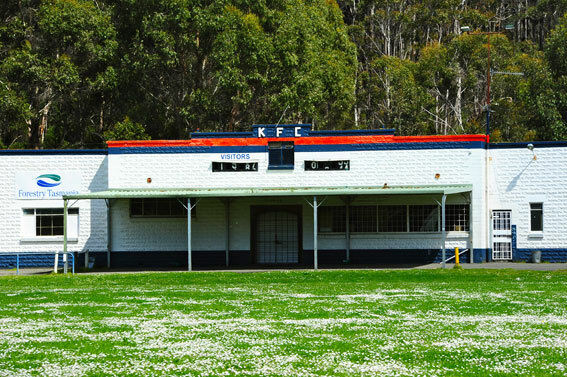 Another of our traveling scoreboard watchers has been to Geeveston – “clearly the chickens know in this instance what KFC stands for,” wrote David Bridie. 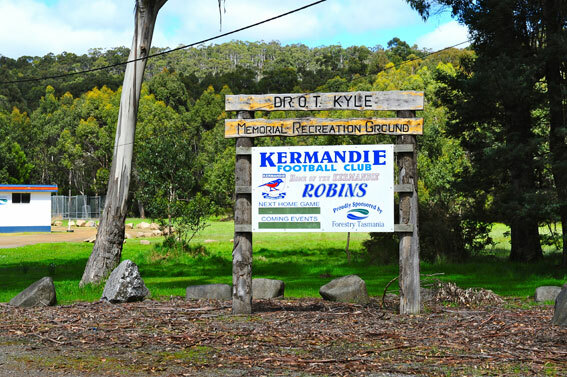 The old home of the Kermandie Robins. These photographs were taken by Michael Wearne during his assignment in 2012. 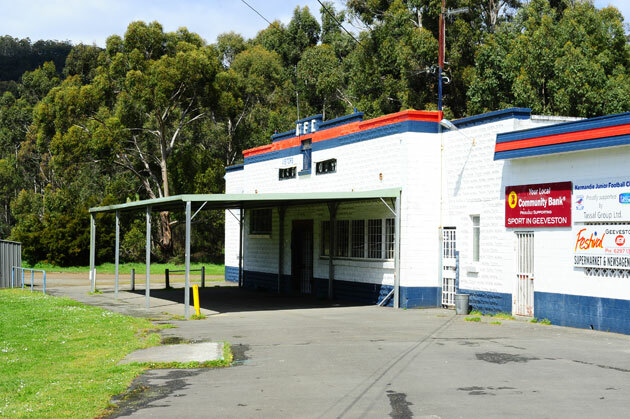 I was there at Kermandie today. 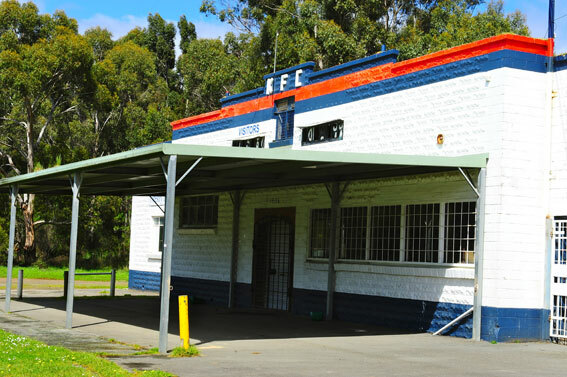 Cygnet hosted former TFL club Hobart Tigers in an SFL match down there, won by Hobart by 17 points. Took some great footage of the inner workings of the scoreboard, the numbers are on large wooden wheels.